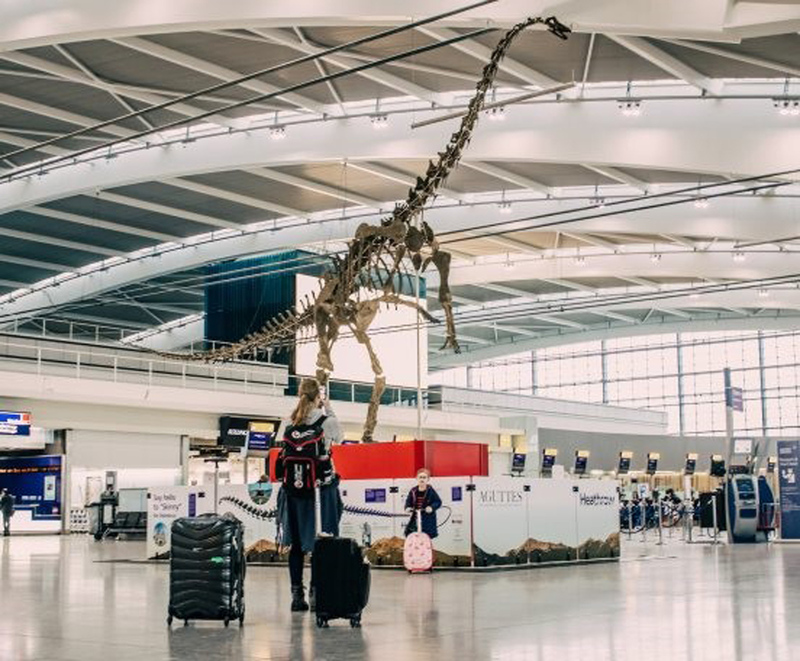 Skinny the Diplodocus, an authentic fossil that is 90% complete and measures 13m long, will go under the hammer at Aguttes in June with a £2m-plus estimate. The specimen, which is believed to be a new species related to the well-known late Jurassic diplodocus, was discovered in the US in 2012. It bears important and significant impressions of its skin, which has never been discovered on a diplodocus before. It follows the €1.58m (£1.38m) sale of a theropod, also thought to be a new dinosaur species, that the was the subject of a 30-minute bidding battle at the French auction house last June. It remains at the airport until the end of May.